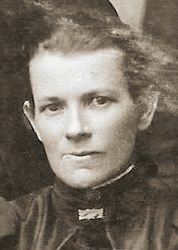 Mary Perry was born on 6 February 1853 in Noarlunga, South Australia , daughter of Alfred Perry and Eleanor Gordon Clark. 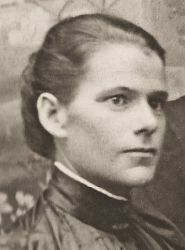 Mary was also known as Polly by her family and friends. Elizabeth Perry was born on 30 July 1859 in Noarlunga, South Australia , daughter of Alfred Perry and Eleanor Gordon Clark. 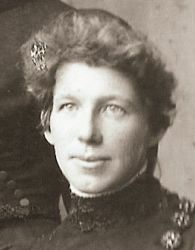 Margaret Perry was born on 30 July 1859 in Noarlunga, South Australia , daughter of Alfred Perry and Eleanor Gordon Clark. To my knowledge, Margaret wasand were never married. 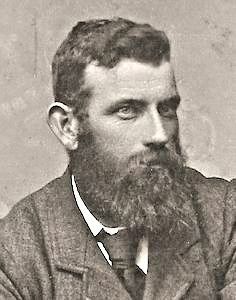 Charles Perry was born on 11 May 1861 in Noarlunga, South Australia , son of Alfred Perry and Eleanor Gordon Clark. He died on Tuesday, 26 January 1932, aged 68 years, 7 months and 10 days, in Northfield, South Australia . 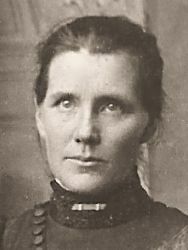 Agnes Perry was born on 17 November 1865 in Noarlunga, South Australia , daughter of Alfred Perry and Eleanor Gordon Clark. 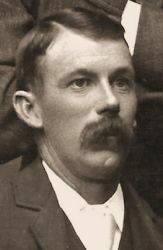 Edward Perry was born on 28 December 1867 in Noarlunga, South Australia , son of Alfred Perry and Eleanor Gordon Clark. 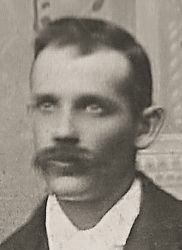 On 4 January 1912, Walter, aged 30, married Amy Edith Perry, aged 27, daughter of Thomas Samuel Perry and Mary Wright, in the residence of T S Perry in Angaston, South Australia .